Wanna get paid to sit in a circle with a bunch of people complaining about a product or service? Then you’ll love paid focus groups! “Complaining” is obviously a little dramatic, it’s more of “giving feedback” – whether it’s positive or negative. Focus groups are just like online surveys or mystery shopping. The main goal here is to gather feedback and information from real people about products and services. This information is then used by the companies and manufacturers behind those services and products to improve or develop new products. Thar’s right, as a thank you for your time and opinion, companies will reward you with cash or gift cards. Just how much you can make with focus groups depends on a few factors. We’ll talk about the exact numbers in a moment. But first, for those of you not familiar with focus groups, let’s get a quick overview. How much money can you make with focus groups? As I mentioned, it’s just another way of conducting market research studies to gather data for improving and developing new and better products and services. Nowadays, focus groups are also used for other purposes like gathering data about political views of the population. Unlike online surveys, focus groups are (mostly) conducted in a physical location. But there are also other forms as well. Focus group as a form of market research has a long history going all the way back to World War II where they were using it to determine the effectiveness of propaganda ads. When most people think of focus groups, they imagine a group of people gathered around a table having a conversation. While that is true to some extend, it only describes one form of it. Focus groups are conducted in a variety of ways. You’ll be asked to show up on a certain day in a local facility where you will be in a room with 7 to 20 people discussing various aspects of the topic of the study. It can last between 30 minutes to 3 hours. Most focus groups, however, last about 40 minutes. As far as the pay goes, this is where you can make the most money. 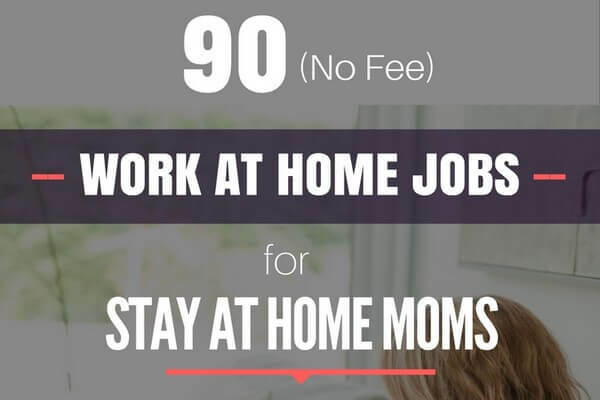 You can get paid anywhere from $30 to $400 or more. For longer studies that may take several sessions, it’s not unheard of to be paid up to a $1000 or so. But those are rare. These studies are conducted online through chat rooms or private online bulletin boards. Depending on the subject of the study, it can be a one-time session lasting from 40 minutes to 2 hours or so, or multiple sessions held for a few days or weeks with multiple sessions on different days lasting from 1 to 2 hours or so. These studies usually have smaller payout compared to in-person studies. You ca expect anywhere from $20 to $200 or more. As the name suggests, studies are done over the phone. It works the same way as an online or in-person study – you’ll be asked a series of questions about the subject of the study. These usually are shorter and last anywhere from 15 to 60 minutes or so. Again, the pay depends on the subject of the study and the length of the interview. Expect anywhere from $20 to $150 or so. This is rare, but it does happen. Basically, the researcher or researchers will show up to your house (obviously, with your prior permission) to conduct the interview. The pay depends on the subject and the length of the study. Expect $30 to $100 or so. It’s kind of like mystery shopping, but the objective is different. Instead of the employees and the store as a whole being watched and rated on performance, you (the shopper) is watched by the researcher. You and a researcher will go out to shop. You do your shopping as normal while the researcher observes your behavior and the way you shop. Pay can be anywhere from $30 to $100. 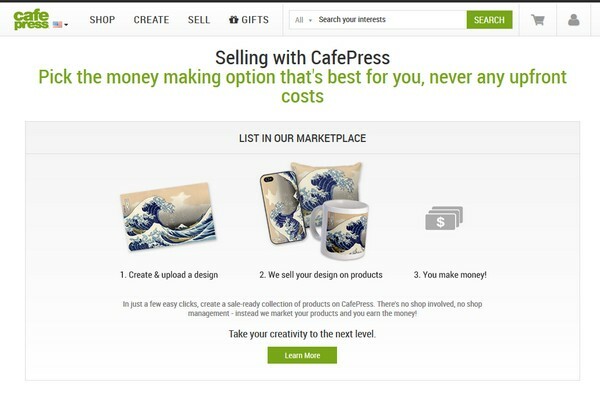 If it’s a specific item/store that they want you to shop for/from, then they’ll pay for the product(s), and in some cases, they may even let you keep it. Let’s assume you are invited to participate in a focus group and the subject of the study is Soda. What’s the first thing that comes to your mind when you hear Soda? What do you think is the best thing about Soda? What’s the worst thing about Soda? What brands come to mind when you think of Soda? Would you buy Soda if it was $3 per can? These are the kind of question you may be asked. Usually, you get to discuss the answers with other participants. It’s not a cut and dried situation with yes or no answers. The purpose here is to get as much information as possible especially the underlying causes of your beliefs about the subject of the study. As you can imagine, shorter studies come with smaller rewards while longer ones come with bigger rewards. 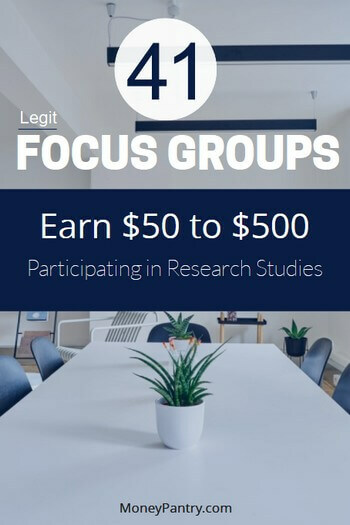 From my own experience of participating in local focus groups here in St. Louis MO and the research I have done, the average focus group pays anywhere from $20 to $200 or more. Most studies take around 40 minutes and you earn about $40 to $100. Again, these are just rough numbers. I have heard of studies where people were paid up to a $1000, but those are usually longer ones where you may even have to attend a few focus group sessions. I haven’t heard of any number above that, but if you’re looking for that kind of money you may want to look into paid clinical trials. Most focus group studies pay their participants with cash. Online focus groups may also pay via PayPal or even gift cards. Nonetheless, you’ll know the detail beforehand. Fortunately, there are less focus group related scams because of the nature of the industry and how it works. There is really no comparing the number of mystery shopping scams or even paid survey scams with focus groups scams. But there are scams and it’s always a good idea to be prepared. Now, finding focus groups to participate in is not that hard. We’re going to include a big list at the end of this post. I know it seems weird, but since most focus groups are conducted in physical locations and require local people, companies conducting them will normally post ads on Craigslist’s “Jobs” or “Gigs” section. Be careful, though. If you’re going to get scammed, this is the most likely places for it. We’ll give you some tips later to help you avoid scams. This is a site for people and companies in the business of market research. But you can use its “Directory” section to locate focus groups companies and their facilities in your area. This one is like the Yellow Pages for the market research industry. Again, although it’s geared towards the people in the industry, you can use its massive database of market research firms to find local focus groups. This is a massive directory of market research firms. They have a dedicated section just for focus group facilities. Here are a few tips that will help you avoid scams and hopefully make the most money. No legitimate company conducting focus groups will ever ask you to pay a registration fee. Legit firms don’t pay out of proportion. If the study lasts for $40 minutes but the payout is $2000, that should be a signal to you that something is wrong. Legit research firms will not email or call you out of the blue telling you that you have been chosen to participate in their study. At the end of the day, your common sense and gut feeling is normally your best defense system. Legitimate focus groups that actually pay! You’ll have to show up to the firm’s facility where the study will be conducted. So, only local residents are usually accepted. Which is why we’re also listing the locations of each company’s facility. However, some of these firms also conduct online focus groups as well as surveys and phone interviews which anyone from anywhere can participate in. Don’t write off the company just because it doesn’t have a facility in your area. Check their site to see if they also have online panels. This is the research lab of the Psychology department of the New York University. They conduct studies related to psychology. They conduct usability tests, focus groups, and other research studies. Besides focus groups, they also do a lot of in-depth interviews, in-home visits, and shop along visits. Most of their studies (that also include online surveys) are conducted online. But they conduct focus groups in physical locations as well. In addition to in-person focus groups, they also conduct other research studies such as webcam focus groups, telephone interviews, online surveys, mystery shopping assignments, product placement studies, and more! They’ve been around for over 30 years and have locations all over the U.S. Yes, we’re talking about THE Google! As you can imagine this is focused solely on Google products. They conduct online, in-home, and in-person studies. Too many to list. Google has offices all over the world. Inspired Opinions is a product of Schlesinger Associates, a company that has been doing market research for over 40 years. Besides in-person focus groups, they also conduct online and on the phone studies. Besides the traditional focus groups, they also conduct shop-along, taste tests, and mock juries. They also conduct many other types of research studies other than focus groups – one-on-one interviews, usability testing, telephone & web-based surveys, screener development. Probe is a new(ish) company (established in 2005) that does Mystery Shopping, Product Trials, Usability Tests, Gang Sessions/Hall Tests, as well as focus groups. You’ll have to fill out an online form and wait to be notified. They conduct studies through their panels in most major U.S. cities as well as Europe, South America, Canada, and parts of Asia. You’ll have to fill out their online forum and wait to be notified. They also do other forms of market research studies besides focus groups – Jury Simulation, Car Clinics, Ethnographies…. According to the company, they conduct over 500 studies every year. To join you have to go through focusgroup.com. They also conduct other studies such as Media Dial Sessions, Taste Tests, Product Placements…. 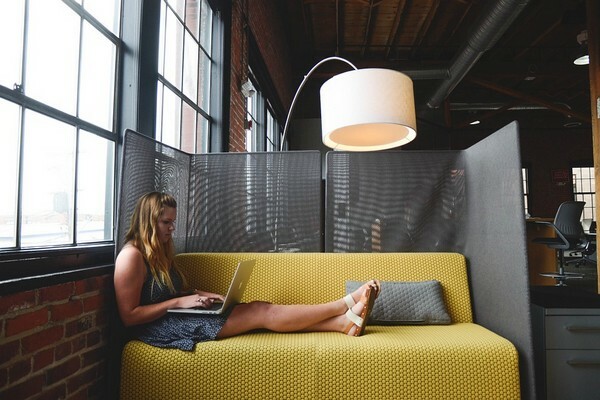 Their study formats include in-person interviews, telephone interviews, and focus groups as well as online and mobile studies that you can access from your computer. They offer “honorarium” as your reward for participating in their studies. Typical honorariums are gift cards, check, or cash. They also do medical research, taste testing, product testing, and more. If you love taste testing and live in San Francisco East Bay area, this is for you. They do focus groups and taste testing for some of the biggest food manufacturers in the U.S. They do a lot of medical related focus groups and studies. Their study forms include one-on-one interviews, telephone interviews and focus groups, and last from 30 minutes to three hours. They actually have two separate panels. One is for everyday consumers, the other is for business owners, physicians, and other professionals. They also have two separate panels – one for the general public and one for medical professionals. Chasen Research has been a leading edge qualitative field service for over 20 years. They are located in New York but they conduct studies nationwide. 28. Advantage Research Services Group, Inc. They conduct studies in most major industries – healthcare, media, finance, and more. Besides focus groups, they also have other forms of studies you can participate in – Usability Testing, Phone interviews, and online surveys. This is a UK based company that allows anyone to participate in their online focus groups as long as they have Internet access and an email address. They also offer other exciting opportunities – product testing where they give you a product to take home and use for a certain period so you can give feedback, taste testing studies, as well as Shop-along where you shop at a grocery or retail store while a researcher observes your behavior. They specialize in studies related to sports, travel and recreation industries. Accurate Data Marketing has been around for over 20 years. They conduct both online and offline focus groups. They conduct studies for some of the biggest local companies in Pittsburgh. As the name implies, thy are Nashville-based firm. If you want your kids to have some fun and make some money at the same time, this firm conducts studies with kids as participants. They also conduct other forms of research studies such as phone interviews and shop-along. They also do a lot of taste test studies. They conduct research with kids as young as 5 to seniors in their 70′s and 80′s. Studies range from 10 minutes to 3 hours. Here is one for our Canadian readers. They specialize in Music Studies, Website Testing, as well as Taste Testing. Participating in focus groups is an excellent way to earn extra money. Not only that, sometimes you may also get access to new products and services that haven’t even hit the market. Be sure to bookmark this page as we will update it with new paid focus group opportunities.